Better Handstands: The reason most people struggle to learn handstand is because they simply jump up again and again at the wall. The YOGABODY Handstand Blocks allow you to develop stronger fingers, wrists, forearms and shoulders to dynamically balance. Reduce Wrist Pain: The leading cause of wrist pain in yoga and handstand is weak and underdeveloped hand and forearms strength. 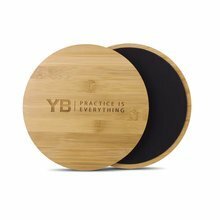 Bamboo Handstand Blocks x2 | YOGABODY® Original with Non-Slip Rubber Bottoms | FREE online Pose Chart has been added successfully to your wishlist. Better Handstands: The reason most people struggle to learn handstand is because they simply jump up again and again at the wall. The YOGABODY Handstand Blocks allow you to develop stronger fingers, wrists, forearms and shoulders to dynamically balance. Reduce Wrist Pain: The leading cause of wrist pain in yoga and handstand is weak and underdeveloped hand and forearms strength. The Handstand Blocks can be used in mat-classes as well during down dog, chaturanga, and upward dog (among others) for students who are prone to pain. The blocks will reduce pain in the short term, and prevent and heal your joints in the long term so it's no longer a problem. Hop-Up / Press Up Booster: Hopping (or pressing) into handstand is actually more difficult than balancing. If you're learning handstand right now, you know this well. You hop, fall, hop, fall, and hop again. With the Handstand Blocks, they force you to "over jump" which gives you a bigger range for building strength. This exaggerated hop (you have to hop higher and harder) builds the strength and muscle-memory to make your non-block handstands easier. It's Good Fun! One of the best things about handstands is that there are infinite variations. You can do class handstand, lotus legs, handstand splits, handstand roll-overs and so much more. When you add Handstand Blocks into the mix, your pose potential immediately doubles, so aside from all the practical benefits, it's also just great fun. helped me build strength to hold and balance a handstand! I absolutely love the Bamboo Handstand Blocks & Awesome Toes! The Bamboo Handstand Blocks helped me build strength to hold and balance a handstand! The Awesome Toes are wonderful. They helped improve my balance. The handstand blocks work exactly as promised. While clawing the hand-sized blocks for either chatarungas or handstands they help diffuse pressure out of the wrists so that the forearms share in the weight bearing activity. 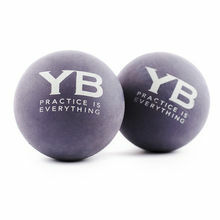 So far, their use has helped reduce my shoulder pain during chatarungas and helped me remember to press into my finger pads during handstands on the bare floor. I'm sharing the blocks with my students and teacher friends with good results. So far, my studio-owner friend has purchased his own set. 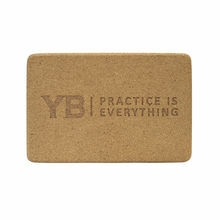 Thanks, Lucas, these blocks are a clever godsend for helping this yogi continue to go with the flow everyday! Also, I enjoy listening to your audio show on Spotify where I've gained great insights from your varied guests and you. Keep em coming! 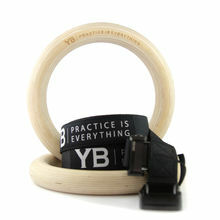 My handstand blocks re also very useful and very good quality. I have not mastered the handstand yet, but I am making good progress. Hand positioning in hand stand prep with blocks. I loved the handstand blocks. I'm using them in my yoga and pilates lessons and in all exercises of core balance, arm balance and shoulder stretching besides my handstand practices.